Blackburn became the first Premier League winners to be relegated to League One despite beating Brentford 3-1 on the final day of the Sky Bet Championship season. Rovers were demoted on goal difference after Birmingham and Nottingham Forest both won. 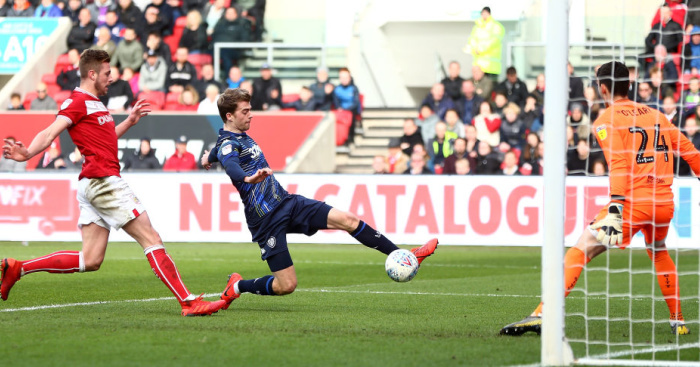 Charlie Mulgrew and Danny Guthrie gave Blackburn the perfect start as they found themselves two up inside 16 minutes, but results elsewhere soon began to go against them. Lasse Vibe pulled one back for Brentford in the second half, before Craig Conway’s penalty restored Blackburn’s two-goal lead. Che Adams grabbed Birmingham’s winner 16 minutes in for a 1-0 victory at Bristol City as Harry Redknapp’s side survived. 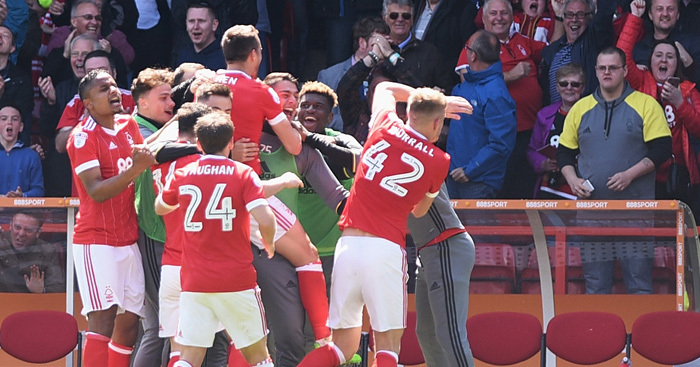 Forest thrashed Ipswich 3-0 on an eventful afternoon for Britt Assombalonga. The striker scored a penalty two minutes before half-time before Chris Cohen fired in a second from distance after the break. Assombalonga then had a second spot-kick saved by Bartosz Bialkowski, although he did complete his brace in the 69th minute. Elsewhere Newcastle snatched the title after Aston Villa equalised late on against Brighton. Rafael Benitez’s side were 3-0 winners against Barnsley thanks to goals from Ayoze Perez, Chancel Mbemba and Dwight Gayle. Glenn Murray’s penalty looked to have sealed victory and top spot for the Seagulls, with Nathan Baker sent off conceding the spot-kick, but Jack Grealish grabbed a late leveller for Villa. The play-off places had already been decided but Reading guaranteed third in the table with a 4-2 triumph at Burton. Goals from Joseph Mendes, Jordan Obita and Yann Kermorgant put the Royals 3-0 up before Ben Turner and Cauley Woodrow strikes threatened a comeback, only for Lewis Grabban to fire Reading’s fourth six minutes from time. Huddersfield goalkeeper Danny Ward will be suspended for their play-off encounter with Sheffield Wednesday after he was sent off in a 3-0 defeat to Cardiff in which a Joe Bennett brace added to Kenneth Zohore’s opener. 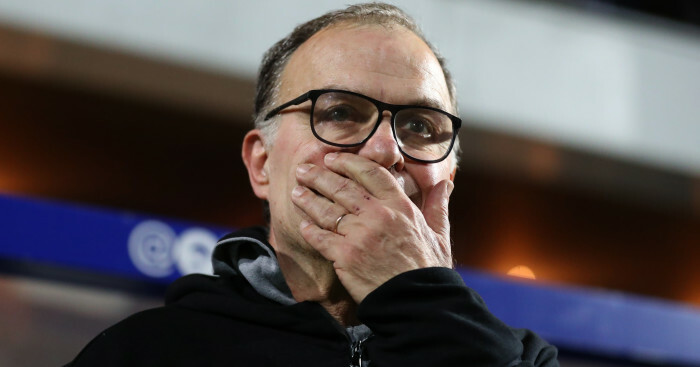 Wednesday lost 2-1 to play-off rivals Fulham, with a Neeskens Kebano double turning the game around after Sam Winnall had broken the deadlock nine minutes in. The Owls had Marco Matias sent off on the stroke of half-time. 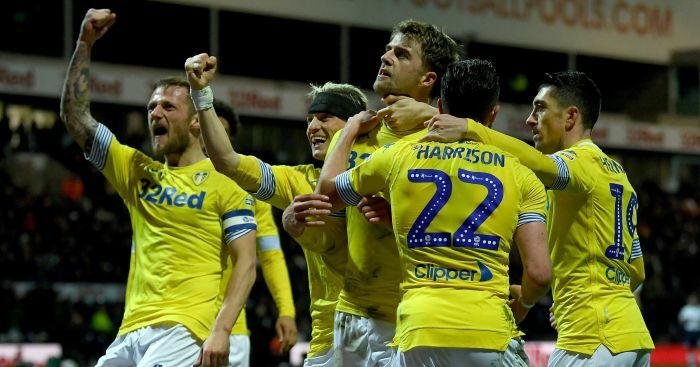 Already-relegated pair Rotherham and Wigan bowed out with 1-1 draws against Derby and Leeds respectively, Norwich thrashed QPR 4-0 and Wolves beat Preston 1-0.